I ordered mine on Saturday and got the expedited shipping – of course, and it says it will be delivered the last week of February. If you choose regular shipping, arrival is first week of March or so. But if you choose the expedited shipping, for $18, it still says arrival Feb 27 – 28. Also, do not let the FREE SHIPPING entice you – that is only for ITALY! If you can understand Italian, or at least figure it out, that’s good. If not, Google Chrome, and if you have the new Microsoft Edge, both have a translate feature. I had to do the plug-in for the Edge, but it works beautifully. Since the CD has not been officially released, there is no picture, or any song lists…. Of course, those of you lucky enough to be in Italy, may get to see the guys in person at an event signing… sigh…. 😦 Perhaps that is why they are not doing any touring until March, so they can do a CD signing tour? If you are short on cash right now, not to worry, they won’t bill you until they ship. 🙂 If you think the shipping is a lot, it is; however, I went back to my notes and realized I paid $25 for the expedited copy of the Grande Amore – Sanremo edition 4 years ago, so price has actually gone down. So this is a bargain… Interestingly, the CD is listed as 22.74 euros, however, when you click on it, the price indicates the 18 euros price (or lower). If you still have not gotten their book (I really doubt it will be translated into English…) it is also available for a lot less than originally published, however, the shipping is more than the book cost! lol! But still well worth it – around $20…. (I think the book was originally close to $20) The book is available immediately, so why not treat yourself to the book and the CD; and you can struggle through the Italian, while you wait for the CD! Again, don’t be fooled by the free shipping…. Sanremo starts just 2 weeks from tonight! Our heads will be spinning with news and anticipation. Stay close to our site for all of the latest and greatest news and interviews translated by Daniela! Hopefully, the tour is announced today also! I love the “Musica” track list. Let’s hope we can get the CD soon in the US. Where did you see the track list?? It’s on Gianluca’s twitter page today. Hi Jana. The conversion of dollars to Euros was $1.17 to €1. Have you seen the track list and the info on the tour plans? What do you think? I am excited but a little sad that the USA tour is planned for 2020. Or am I nor reading it correctly? Daniela, any thoughts on this? I’m translating the entire press conference, Rose Marie! From what I saw on Il Volo Music, it looked to me like they would not be coming to the US and Canada until 2020. We will have to wait and see what information Daniela has for us. If so, it is disappointing. I know Daniela will have all the details, but just in case you haven’t seen the track list yet, here it is…my computer translated it all to English, but it is all in Italian, except for People and Be My Love….there are only 11 songs…. Reposted from @ilvolomusic-after months of work, today we revealed more about our new album. We wanted a simple and immediate title, and so was “music”. A word that perfectly reflects what we are, as well as the choice of songs, which express our favorite tastes and musical genres. Yes Jana, as soon as I saw it, I thought of the Beatles! Cool!! Wonder if they did that on purpose? Yes, unfortunately, it does look like they won’t be here until 2020 now. But, they saved the best for last and it looks like it might be Miami. But that is probably over a year from now – anything could change! “Be my love” was written for Mario Lanza for a movie he did in 1950. I remember my mother singing it around the house at that time. She had a classically trained voice. I can’t wait to hear the guys sing it, it is a beautiful song. Ok, you could learn Italian and read their book? Do an il volo wall or shelf with all things il volo or Italy? This could actually be a fun post, what to do now that we have to wait another year! Thanks Jill, Mario Lanza’s “Be My Love”was such a big hit . The 1950 movie “The Toast of New Orleans” Catapult Mario lanza to Star as The The Great Caruso .i would love lL Volo to sing this beautiful song. I sure hope it’s on the new album. The IL Volo team will do Mario Lanza and Be My love such honor. They are the best at everything they do, they never disappoint.. getting ready to order my CD. “Be My Love” is on their new album, and I know they will do it justice, just like everything else they sing. Yes, I love this song…. I can hear gian starting it out with his deep baritone voice. 🙂 maybe all 3 chiming in on the word love? I first heard this on my parent’s Keely Smith album! I guess many people have recorded it. My friends, I understand your disappointment. Yesterday I was looking forward to the news, to be able to finally give you the dates of the American tour. And instead after the announcement, I was very ill thinking of you, I could not believe, I tried several times to understand if the news was true. At the press conference, a lot of really nice and interesting things were said, but unfortunately the American tour, which has been reconfirmed, will start from RCMH, seems to have moved to March of 2020. I am proceeding to translate the entire press conference which I believe will be published on Thursday. 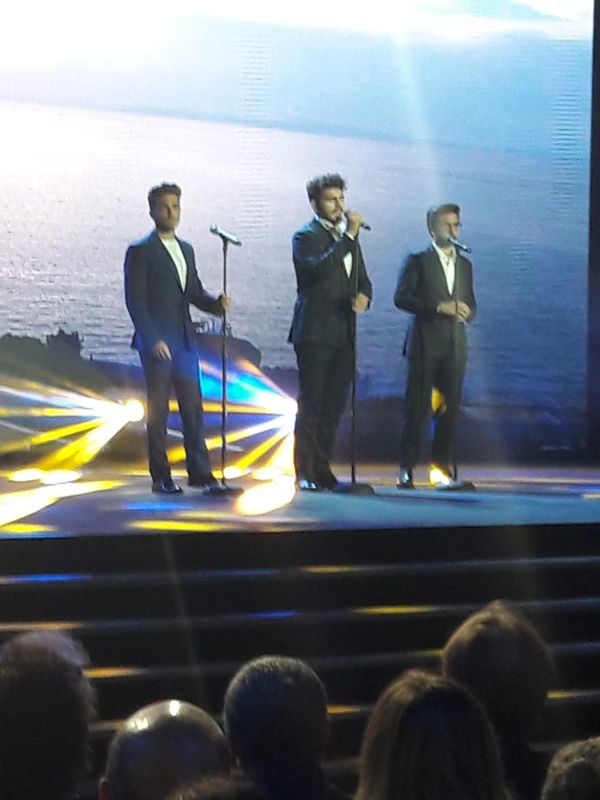 I advance to you, that there will be a beautiful special PBS that you can see waiting for the concert and certainly IL VOLO will come first, to promote personally. I believe that the shift to the year 2020 was due to the commitment of Sanremo, which had not been foreseen before. I’m very sorry, I wanted to give you the best news. Follow the translation of the press conference. You have no reason to be sorry–it is not your fault they are not coming to North America this year! We are grateful for all the translations and posts you give us. For now, let us concentrate on San Remo and see what happens next! We will have enough excitement over the next few weeks to help us with our disappointmnet. And before we know it, something else will come along to distract us! Did they say anything about another CD–didn’t we think a few weeks ago that there were going to be 2? Penina, I was really knocked down by the news. As for the CDs, they always said that they would make a new CD, with unpublished and we all hoped it was their pop-lyric genre. And now the CD has arrived. I seem to remember them saying there would be 2 Cds. One an anniversary album and another one. Does anyone else remember that? Or am I dreaming–wishful thinking? Thank you so much Daniela for all your information and it is so kind of you to be concerned with our disappointment. Looking forward to your translation of the press conference. I think in the future when they know they will have to change plans, they should put that information out there as soon as possible. We had heard they would do something special at RCMH for their tenth anniversary and we were lead to believe that they would be touring in the USA in 2019. I had put off travel plans so I would not be away when and if they were appearing in the NY/NJ area. I will look forward to a beautiful PBS concert and hopefully they will be here to promote it. 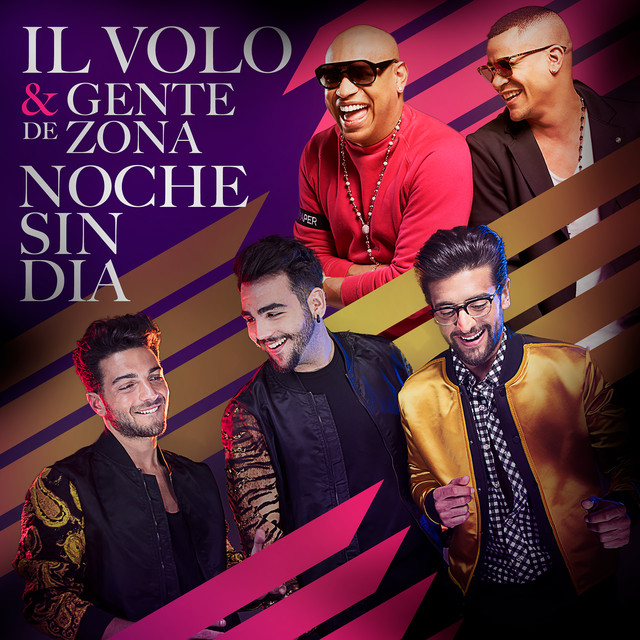 The last few years they seem to spend most of their time and promotional work in Miami with the Latin American stations. I know they will be wonderful at Sanremo and wish them all the best! Margaret, the press conference of IL VOLO, was really long but very exhaustive and it was worth translating it for you. I do not think it will be ready for today, unfortunately, but I think today an interview will be published by RadioItalia. I’m still very sorry for your tour. Enter your email address toreceive notifications of new posts by email. Michele Torpedine's Birthday May 12, 2019 Il Volo's Manager - The Boss! Happy Birthday! Barbara Vitali's Birthday June 13, 2019 Il Volo's Everything/Road Manager Happy Birthday!! MariaGrazia Barone's Birthday June 16, 2019 Piero's Sister Happy Birthday! Piero Barone's Birthday June 24, 2019 Il Volo Happy Birthday! Caterina Boschetto's Birthday July 10, 2019 Ignazio's mom Happy Birthday! Ercole Ginoble's Birthday July 11, 2019 Gianluca's Dad Happy Birthday! Diego Basso's Birthday July 15, 2019 Il Volo's Conductor Happy Birthday! Anniversary of Ercole and Eleanora Ginoble July 28, 2019 Gianluca's Parents Happy Anniversary! Nina Boschetto's Birthday September 30, 2019 Ignazio's Sister Happy Birthday! Ignazio Boschetto's Birthday October 4, 2019 Il Volo Happy Birthday! Vito Boschetto's Birthday October 30, 2019 Ignazio's Dad Happy Birthday! Ernesto Ginoble's Birthday! November 1, 2019 Gianluca's Brother Happy Birthday! Gaetano Barone's Birthday November 19, 2019 Piero's Dad Happy Birthday! Eleanora Ginoble's Birthday January 15, 2020 Gianluca's Mom Happy Birthday! Francesco Barone's Birthday January 17, 2020 Piero's Brother Happy Birthday! Gianluca Ginoble's Birthday February 11, 2020 Il Volo Happy Birthday! Come in and share the love of life, friends and Il Volo! Current Album/Single Release ~Listen/Get Your Copy Now!